Montana Research Project! 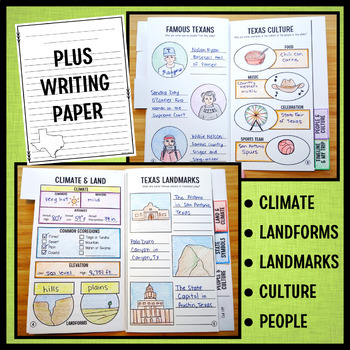 This engaging guided research project helps students learn all about the great state of Montana. 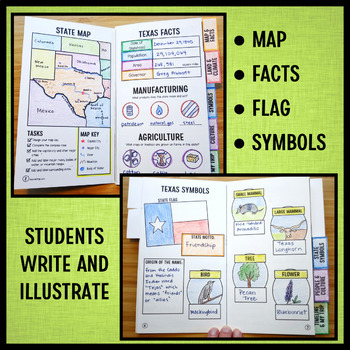 My guided research booklets take just 3 sheets of paper to easily create a 12-page tabbed booklet that leads students through the process of gathering information about the state. 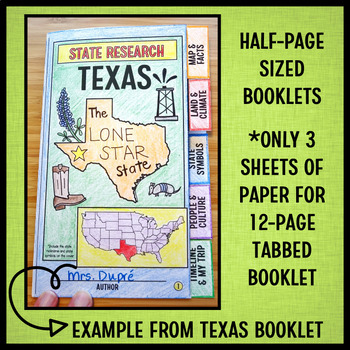 The booklets work with any information sources you have available, online or print! 2nd-5th grade teachers wanting an engaging way for their students to learn about the state of Montana! 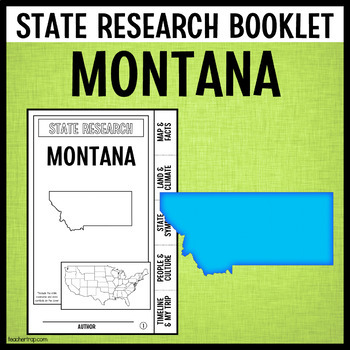 A printable template to create a 12-page (3 sheets of paper) tabbed guided research booklet for the state of Montana.